As we head into 2018, there appears to be a lot of headwinds facing hospitals and healthcare systems: regulatory uncertainty around the Affordable Care Act, slowing patient admissions, accelerating costs and shrinking margins. Moody’s Investor Services predicts bad debt to grow 6-7% in 2018 and operating cash flow for non-profit hospitals to shrink 2-4%. “1) Clinical variation reduction: Kerns says supply chain managers will attempt to minimize variations in areas with a combination of a high aggregate spend, high variation in spend-per-item, and a degree of modification, such as surgical supplies. “That will bend the cost curve over time,” he said. Ben Isgur, director of PricewaterhouseCoopers’ Health Research Institute, agrees and adds that clinical variation tends to be a cultural issue for administrators. In Isgur’s view, if physicians agree to standardized care paths and supplies, that creates efficiencies and savings. The challenge is getting physician buy-in to agree to the standards. But it isn’t impossible. Creating incentives across an organization can help add drive adoption. “Getting the culture aligned on incentives is what makes supply chains successful,” Isgur said. 2) Labor management: A major driver of expense growth will be labor costs as providers hire clinical staff to manage the incoming “silver tsunami” in tandem with physician and nursing shortages. Health systems are not able to control costs as they might have in the past because wages are increasing in light of the shortages. Some organizations have announced large layoffs. Tenet Healthcare, for example, announced in its preliminary Q3 disclosures the company would cut 1,300 jobs. Lahey Health said in October it would lay off 75 employees to help bridge a budget gap. But layoffs can only take an organization so far. Providers will have to learn how to optimize their workforce and use automation when appropriate, such as in areas like medication reconciliation. Chip Newton, Healthcare Leader of LaborWise, Deloitte, told Healthcare Dive he has seen a greater focus in recent years on workforce management as a means of controlling costs. For example, providers are reviewing the incremental components of overtime like missed meal breaks and missed punches. “Those seem minor but that level of granularity helps them maximize their labor force,” Newton said. 3) Revenue cycle management: Revenue cycle costs have remained flat in recent years despite increased consolidation in the industry, indicating health systems have not realized greater savings by pooling their revenue cycle functions, Kerns said. Therefore, providers will increase focus on the cost-to-collect and minimizing denials. To maintain savings over time, health systems and supply chain managers will need greater visibility into where clinical variation exists. To that end, technology will be a critical tool for cost containment efforts. While technology no doubt contributes to the increasing expenses a provider faces, analytics and EMRs should be considered as a tool to target savings. Better use of analytics will help supply chain managers identify year after year where the savings are going to come from, according to Kerns. If supply chain managers can show physicians data that reducing clinical variation can lower costs, managers are much [more] likely to get physician buy-in. “That will give them the best long term bang for their buck,” he said. 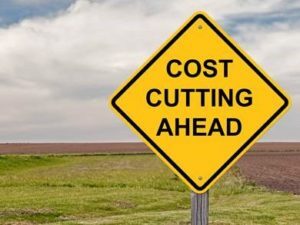 As the article covers, clinical variation reduction and revenue cycle management will be 2 of the big cost containment drivers in 2018. In pursuit of these efforts, consider a software solution such as iRISupply that can automate the capture and documentation of implants and supplies in surgical settings, where hospitals make and spend almost half of their dollars. On one hand, these systems can help cut costs through clinical variation reduction and other supply chain efficiencies, while on the other hand they can enhance the revenue cycle through increased charge capture. This software also provides the data and analytics a hospital needs to make supply chain and revenue cycle gains in 2018 and beyond via advanced analytics and actionable insights.